How Much Do You Know About “Women’s Lib”? During my years as an undergraduate at the University of North Carolina at Chapel Hill, I took as many classes as I could in their well-reputed women’s studies department. When I was required to take a sociology class, I took “The Foundations of Feminism.” For my philosophy requirement, I chose “Philosophy of Feminism.” A literature class focused on works by women exposed me to Toni Morrison, Erica Jong and Ann Petry, among others. So I have always considered myself well-grounded in the history of women’s liberation and its major players. Nevertheless, when I saw Jennifer Lee’s documentary Feminist: Stories of Women’s Liberation at a recent screening hosted by the Los Angeles chapter of Women, Action, and the Media (WAM! ), I was amazed by how much I didn’t know. The film deals with the feminism of the 1960s—usually referred to then as the Women’s Liberation Movement, or, somewhat disparagingly, as Women’s Lib—from the origins of the Second Wave as part of the Civil Rights movement to Betty Friedan’s groundbreaking The Feminine Mystique to the protests at the 1967 Miss America pageant. Despite my studies, I had never heard of the Redstockings, a group whose name derives from a combination of bluestocking, a term for “intellectual woman,” and “red” for the revolutionary left. The Redstockings were critical of the National Organization for Women for focusing on institutional reform at the expense of male-female relationships, of radical feminists for advocating a separatist women’s culture and of socialist feminists for focusing too much on class. 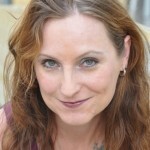 I was also unfamiliar with WITCHes—sometimes the acronym of Women’s International Terrorist Conspiracy from Hell, sometimes standing for Women Inspired to Tell Their Collective History, sometimes meaning Women Interested in Toppling Consumerist Holidays, as well as any number of other meanings. The WITCHes represented the kind of socialist feminism to which the Redstockings were opposed; nonetheless, like the Redstockings they were known for staging street theater protests against capitalism, for reproductive rights and against patriarchal constructions of marriage. Filmmaker Lee does an excellent job of covering disagreements within the movement. She discusses the major criticisms of The Feminist Mystique, which, like Lean In, primarily applied to white women of privilege. I also learned that Friedan and some other early Second Wave leaders were desperate not to have their movement associated with lesbianism and gay rights—something that is thankfully not the case today. 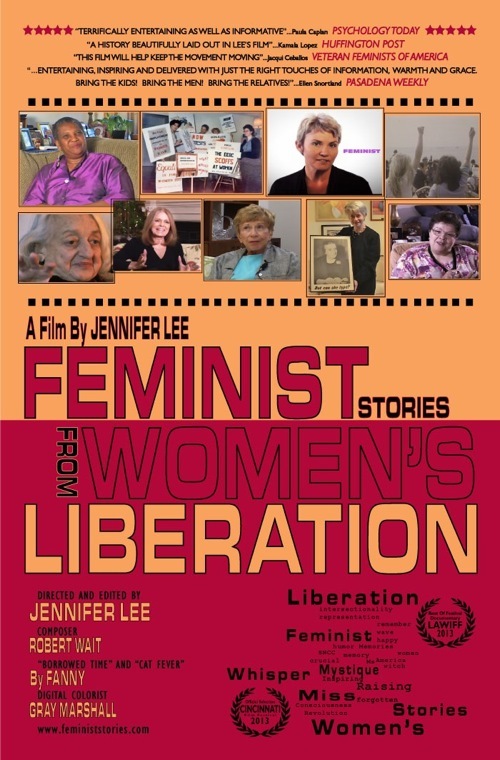 Lee took nine years to finish the film, which contains interviews with Friedan, Rep. Eleanor Holmes Norton (the Washington, D.C. delegate to Congress), Aileen Hernandez (the only woman to serve on the first Equal Employment Opportunity Commission), Kathie Sarachild (a leader in the consciousness-raising movement and Redstockings member), Frances M. Beal (cofounder of the Black Women’s Liberation Committee of the Student Nonviolent Coordinating Committee) and more. The film also offers footage and still photos of major feminist events of the period. I was a young teenager during the Women’s Liberation Movement, so I knew as I went through life that I had this powerful sisterhood of feminists in back of me. I may not have known their names, but it was a vibrant movement that told me that if something sexist happened to me, I had women to help me and to pick me up if I got knocked down. And that’s something worth remembering. From the legislative successes to the social successes, that’s something that needs to be remembered by girls and women and boys and men. If we know that positive things happened that we’re all living with today, I think that will begin to change the shape of the word feminist. Whether you think you know everything there is to know about the women’s movement or have yet to look into the history of our feminist forebears, Feminist: Stories from Women’s Liberation is well worth a watch. Feminist: Stories from Women’s Liberation will be screened on December 5 at the AMC Loews Village 7 in New York City at 7:30pm. The film is available for public as well as classroom screenings. Contact Jennifer Lee here to purchase a copy.